We're excited to introduce to you our February guest teacher, ALEC VISHAL ROUBEN. 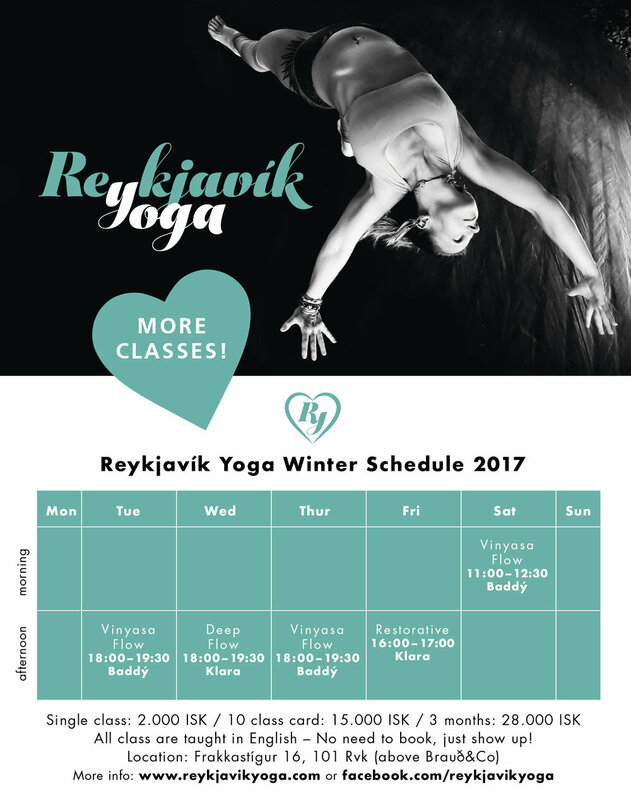 Alec will be leading a workshop style class next Saturday at Reykjavík Yoga! Alec Vishal Rouben is inspired to have stumbled upon a path of service! Alec Vishal is from Colorado, USA & is currently living in the UK in pursuit of a Masters degree in Traditions of Yoga & Meditation. Having his first yoga practice through the Vinyasa system, breath became the key to finding inner contentment in life, staged through mindfulness. His personal practice reveals strong gems on how to move towards mastery in his unique offering of yoga to the world, influencing fellow brothers and sisters, while receiving wisdom from his Community. With a strong relationship around Pranayama, Meditation, Stories of the Hindu Mythics in which Yoga is rooted in, you can expect to learn a great deal of understanding around Yogaasanas, as well as learn about YOUrself! Alec is here to share with you, LOVELiFEyoga® at Reykjavikyoga! Please Join Guest teach Alec for a 90 navigation through some of your favorite and foundational yoga postures. This is a Hatha approach to at least a dozen of the most important postures you will experience in a normal vinyasa class. Create Stability In Stillness so there is integrity in your movement! You can expect to learn about your own personal patterns in the body, your obstacles, limitations, and limitlessness. With Alec's over half a dozen training and extreme Eye of Attention that his teacher, Eddie Modestini installed into him, Alec will offer a unique approach to practicing yoga and living yoga out in the real life. This Workshop will be different and is guaranteed to inspire you to practice daily, on the mat and off the mat. We will learn different techniques to postures you may know, integrate props into every posture, learn about meditation, some breathing techniques, and enjoy the company of one another. This is a workshop-style class, so your questions are encouraged! We are delighted to tell you that we are adding more classes this winter so now you can practice with us 5 times a week! And as usual: No need to book, just show up!